More than any other time in history, access to videos of singers performing in operas, oratorios, and as recitalists, is readily available. Audiences also get a closer view of the singers due to the proximity of the filming. It is a competitive business, and smart singers strive to sound and look the best that they can. But what if you were a singer with no hair on your entire body – not even eyebrows or eyelashes? For many performers, this would be very uncomfortable and challenging while pursuing a future in the field of classical music performance. 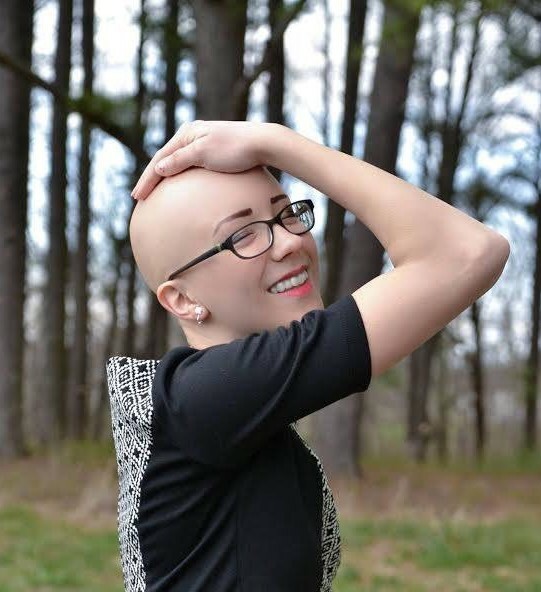 For soprano Claire Ryterski, having no body hair is a normal part of her life but she doesn’t let her rare condition stand in her way. Shortly after her discovery of a bald patch, she met with the pediatrician and a dermatologist who diagnosed her with alopecia areata. Alopecia areata is an autoimmune skin disease that causes hair loss. While in middle school Claire was able to regrow her hair by using topical solutions and ointments but later her condition worsened. After she lost scalp hair she lost it all over her body. 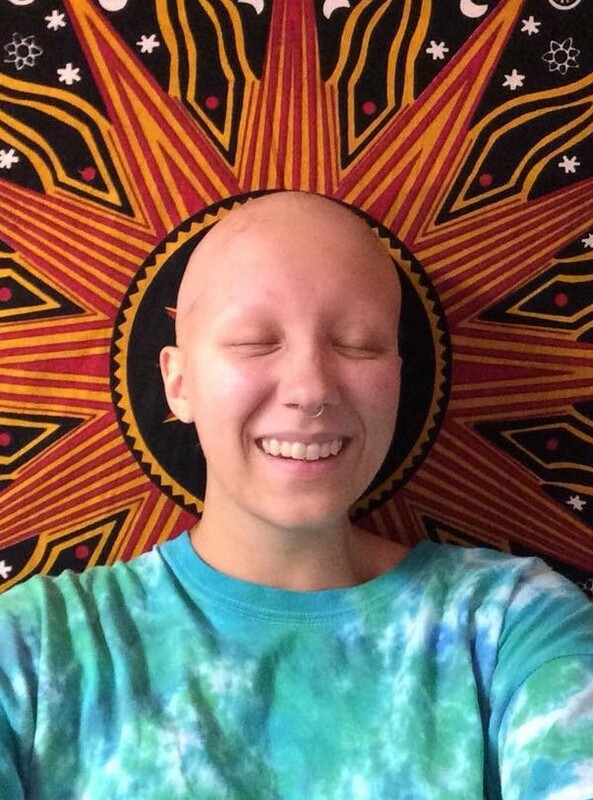 By her senior year, Claire had alopecia universalis, the advanced and rarer form of alopecia areata that results in complete hair loss all over the body. It is not contagious, but there is no known cure. When Claire started her freshman year at Western Illinois University in fall of 2015, she chose voice as her principal instrument to pursue her degree in Music Therapy. Although she had never had voice lessons, she did sing in choir in high school. It didn’t take long for the faculty and students to start to notice her talent as a singer. After beginning with simple art songs, she began exploring opera arias. 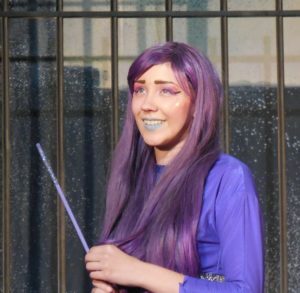 After her performance in the title role in the 2016 WIU Opera Theatre production of Iolanthe her sophomore year, she continued to grow and develop her artistry. In her junior year, she added a major in Vocal Performance to her busy schedule. Claire began performing more in 2017 and 2018. 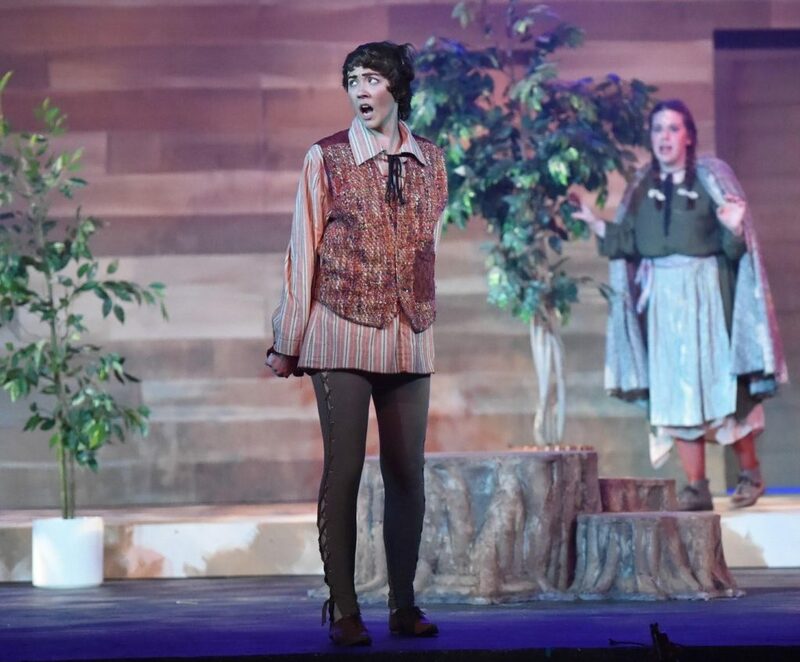 For the WIU Opera Theatre, she performed the roles of Laetitia in The Old Maid and the Thief, both Gertrude and Hansel in Hansel and Gretel, Dinah in Trouble in Tahiti, and the Mother in Jack and the Beanstalk. She has also performed numerous excerpts of roles in Opera Workshop. With the WIU Symphony and Chamber Orchestras, she performed arias from Un ballo in maschera, The Old Maid and the Thief, and Handel’s Messiah. 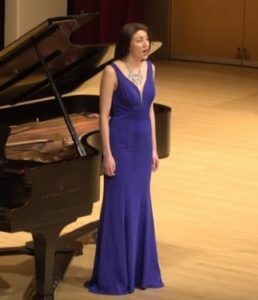 She was a first-place winner at the 2018 Illinois Central Region Vocal Competition (Upper College Independent Studio Women), and a first-place winner of the 2017 WIU Concerto/Aria Competition. Further, she was the recipient of two vocal scholarships at WIU. 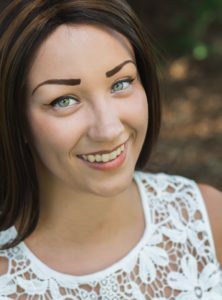 For her final opera role at WIU, she will perform Countess Almaviva in the WIU Opera Theatre production of Le Nozze di Figaro this spring 2019 and will also perform her senior recital. 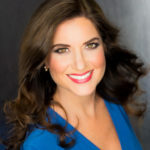 This January she will compete in the Metropolitan National Council Regional Auditions. She plans to then enter graduate school and audition for young artist programs.